Mark Platt is the Master Facilitator in Air Conditioning and Furnace Filters. What size AC filters or furnace filters do I need for my HVAC unit? Call Mark or Michelle Owners of A/C Filters 4 Less. We are happy to help in anyway we can. We offer stress free shipping throughout the United States. Call the experts for a free no obligation quote. When you place a call to AC Filters 4 Less, you will be speaking to the owners, Mark and Michelle. We guaranty that you will be completely satisfied because we have your best interest at heart. We strive to give the very best customer service possible. We want to make sure that every customer receives the best filter for their needs. We want our customers to feel confident knowing that they are dealing with a licensed professional company. Mark Platt, Owner of AC Filters 4 Less, has been in the air conditioning business since 1980. If you need any technical information, he will gladly answer any questions you may have. One of the easiest steps, but one of the most important, is to change the air filters regularly, to keep the ducts, motor and the evaporator coil clean. This will also help the air condition or furnace unit run at maximum efficiency, which will also save money on the electric bill. Dirt and poor maintenance are the top two reasons for A/C or furnace system failures. Spending a little money now on an AC filter or furnace filter can help prevent spending hundreds of dollars on repairs in the future. When air conditioning or furnace filters are changed in the home or office, the indoor air quality immediately improves. This will keep germs from spreading and promote good health. Part of maintaining a healthy home or workplace environment, involves making sure that everyone breathes the cleanest air possible. Changing or upgrading the AC filters or furnace filters on a regular basis, will helps protect families from colds and flu. This is truly the best way to eliminate airborne particles in the air. Let's promote a healthy home environment by reducing airborne germs, dust, pollen, allergens, bacteria, mold and viruses. Get started by purchasing our discount filters today and take advantage of our everyday low prices. We also offer a high volume discount on our bulk AC Filters and Furnace Filters for commercial accounts. Our commercial pricing is available per customer request. Please fill out the form on our contact us page and we will respond asap with a free quote. 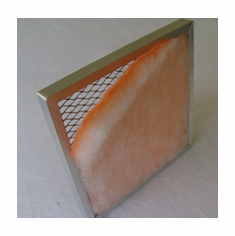 We highly recommend our permanent aluminum frame and disposable orange and white media filter pads for people who suffer from allergies, asthma, etc. 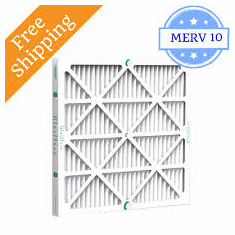 The media filter pads holds a Merv 8 rating and they are cut to your exact size. We offer a lifetime warranty on the aluminum frame. We have allergy relief products like our orange and white media filter pads. They hold the most dust and debris without restricting the airflow like a pleated filter can. 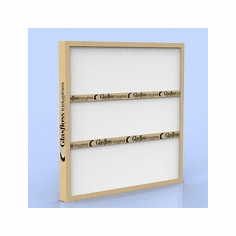 If you have a custom size filter, this product is a great alternative. You will also be amazed on the quality of air you breath when purchasing this product. Call now for a free quote. What is the best brand A/C or furnace filters to buy? Flanders air filters have been the preferred brand when looking for the best air conditioning and heating filters. 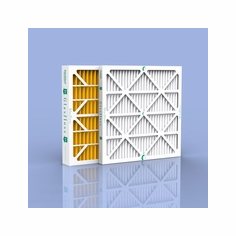 Flanders Precisionaire - foremost in air filtration has improved energy efficient filters. Michelle Platt, co-owner of AC Filters 4 Less, has extensive knowledge in the Air Conditioning field when it comes to air filtration. Not only is she knowledgeable, but she has the best customer service skills. She is extremely, friendly and polite, making your shopping experience so enjoyable. Now you can be confident, knowing that you are getting the best filter for your needs. You can also feel good about your new purchase. What filter do I need to buy? Call Michelle, she will tell you what she recommends and what you need for your application. Everyone has a different situation when it comes to the proper type of filter to buy, no worries that's what we're here for. If the AC unit is not cooling, first check the thermostat to make sure it is working properly. If the screen is blank the battery needs to be replaced. Most people don't realize that some thermostats take batteries. If the air conditioner unit is blowing warm air, the filter could be clogged or the safety switch on the drain line might have turned the unit off. The filter will have to be replaced, and the drain line my need to be serviced. To keep the HVAC ice cold, it is best to change the air filters more often. 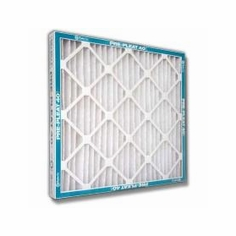 We recommend changing the filter every 4 to 8 weeks or as needed. This will prevent the unit from leaking water or freezing up and will avoid spending unnecessary money on an ac repair. It is also important to have a maintenance inspection done on the air conditioning system, by a licensed professional service technician at least once a year. When searching for a replacement central air conditioning HEPA Filter for the home or business, it is a great idea to have the size, model number and part number available. 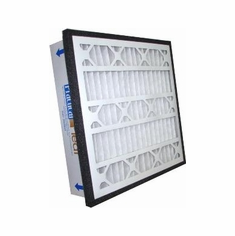 We can custom make any size AC filter or furnace filter that you are looking for. 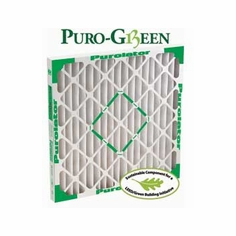 Our Glasfloss and Purolator HVAC filters are made in the USA. 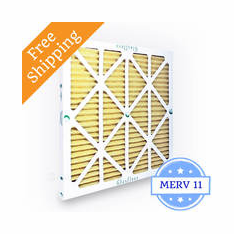 A/C Filters 4 Less offers discount filters throughout the United States and provides FREE shipping on all orders. Our filters are delivered right to your door and shopping online is a great way to save time, money and gas. When inquiring about AC Filters, Furnace Filters, Air Filters, Discount Filters, Bulk Filters, contact the expert for a free no obligation quote. Rheem AC Filters are hard to find, not with AC Filters 4 Less. Call Now. 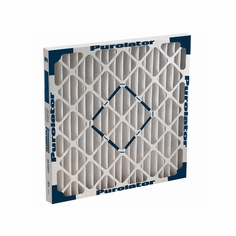 We have all of our AC Filters and Furnace Filter sizes available in a variety of different brands to choose from. Home Depot, Lowes, Walmart or Ace Hardware never seem to have the correct AC Filter or Furnace Filter sizes you need. 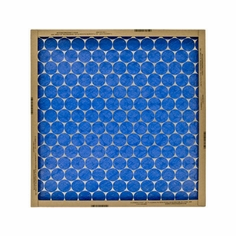 Custom size hard to find air filters is our specialty. 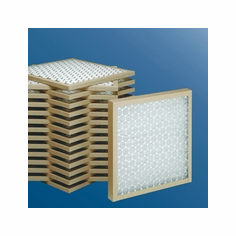 We can custom make any size air filter you need in a variety of different types to choose from. Contact us today for a free quote.